Jo Jung Seok will be confessing his love for IU through a love song as part of the official soundtrack of KBS’ drama, ‘You’re the Best, Lee Soon Shin’. 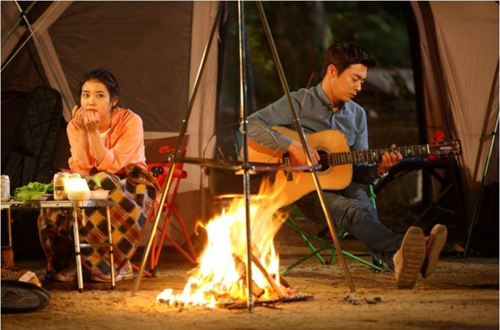 On the 30th episode of the drama, Junho (Jo Jung Seok) played the guitar and sang a song for Soon Shin (IU) by the campfire. Right after the broadcast, the viewers showed much interest for the song Jo Jung Seok had sung. The song is titled “I Love You So Much” and will be fully released on June 28th. The song is a bright medium-tempo number that features light acoustic guitar and percussion sounds, and dramatic arrangements. It was co-written by Lee Hyun Seung and No Joo Hwan, who wrote a great number of hit OSTs. world k-pop news: Jo Jung Seok sings a love song for IU "clickable"
0 Response to "Jo Jung Seok sings a love song for IU"